Anthony J. Ramirez recently received advanced level training, from the American Association of Premier DUI Attorneys, on how to use fatigue and drowsiness to fight DUI cases. Anthony received training on the how drivers arrested and prosecuted for being under the influence of alcohol and/or CNS Depressants can easily be misdiagnosed and wrongfully arrested for DUI when they were simply fatigued or drowsy at the time of the incident. The information in this training was provided by Adam Pollack. Mr. Pollack is an AAPDA Executive Member of the Association. Mr. Pollack’s office is located in Orlando, FL and his website is http://orl-law.com/. 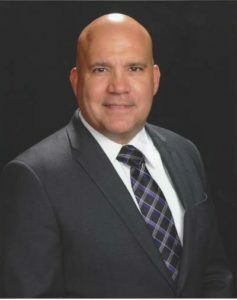 Mr. Ramirez draws on his experience as a former police officer with the Washington, D.C. Metropolitan Police Department when assisting his DUI clients. Mr. Ramirez is one of the few attorneys in the State of Arizona who is also a licensed Arizona private investigator and he has also served as a Pro Tem Assistant City Prosecutor for the cities of Avondale, Tolleson and Buckeye, Arizona. Mr. Ramirez’s prior experience sets him apart and gives him the knowledge and skills to be an aggressive advocate for his DUI clientele. Mr. Ramirez uses his prior law enforcement experience and investigative skills to hold police officers accountable for their investigations, ensuring that no stone goes unturned and his clients have the best possible defense against that charges they are facing.